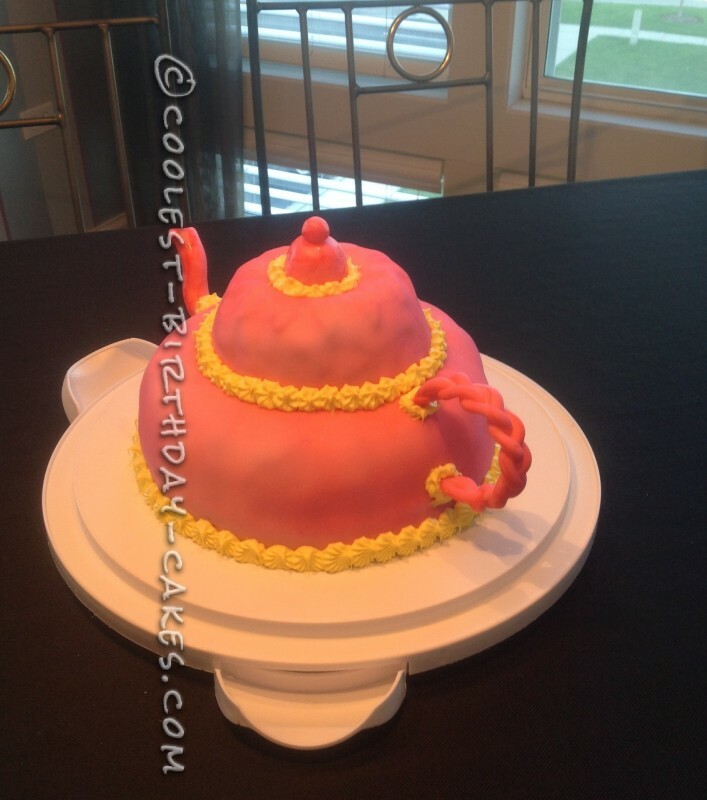 I made this little Tea Pot Cake for my cousin, who not only works at a tea store, but has more tea than anyone I know! I started with just a round cake on the bottom to give it a little extra height. Then a bundt cake on top of that, and a mini bundt on top of that. I staked the round and big bundt and frosted them. I then frosted the little bundt. Covered them both with frosting. Once the frosting set a little, I covered them both with white fondant. 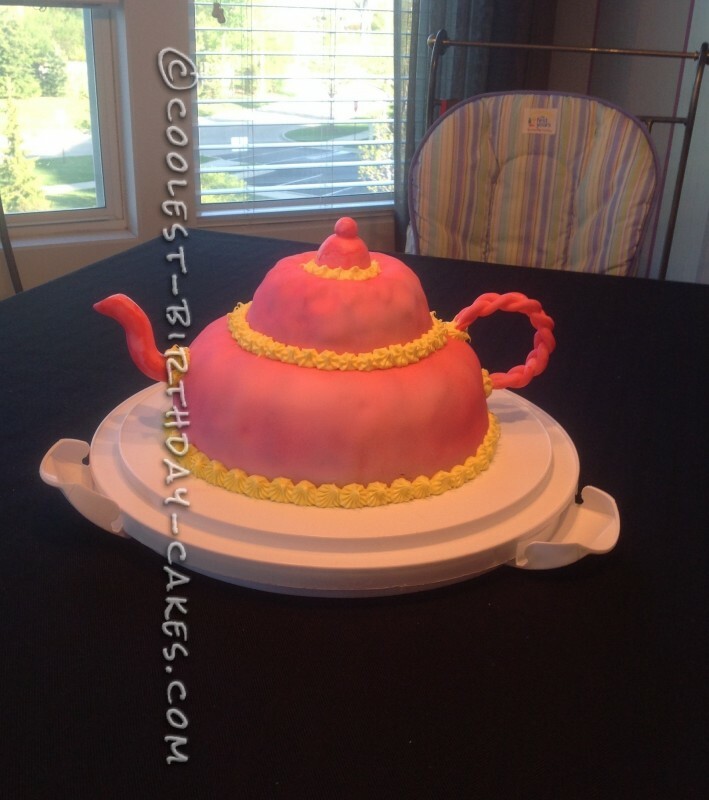 Once that was done, I made the spout and handle out of fondant. Let this set up and harden a little along with the top piece. I sprayed the whole cake with edible pink food coloring. To me it was a lot easier than dying the fondant. I then piped around all the edges with Wilton lemon yellow dying icing. #32 tip around the bottom, and #18 everywhere else. Then I added the spout and handle, and again pipped #18 around those. 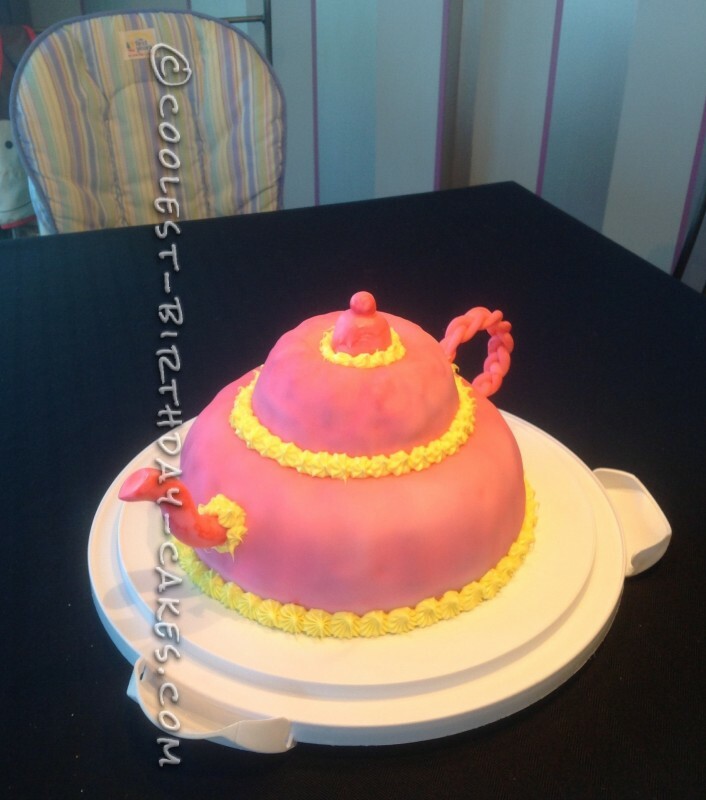 This is my very first tea pot and cake I am submitting.